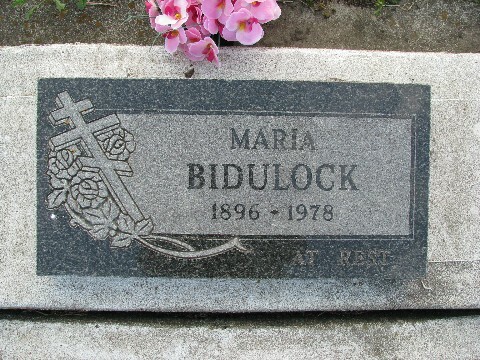 As on August, 1997, the descendants (four generations) of Fred and Maria Bidulock numbered 111! Where did this all begin? Fred, or Todor as he was known to the Romanians, left Boian, Bucovina (under Austrian rule at the time) in 1907 (1908?) at the tender age of 16 and with four years of schooling. He ventured into the unknown (Canada), not with his parents, but with an older sister and her husband. The remainder of his family followed later. Fred talked fondly about his homeland. He remembered the fruit trees that grew in people’s gardens and along the boulevards. He missed the mild weather and recalled the natural beauty of Romania. He recalled stories he heard as a child about the Prut River and its water running red with the blood of the battles fought in the land. The beauty of the Carpathian Mountains and the aroma of the flowers and vegetation were not easily forgotten. However, there was one facet of his life in Romania which he did not like. The social system prohibited the poor from improving their lot. They worked for the landlord for a pittance, their children would have to do likewise. Consequently when the opportunity arose to seek freedom and independence in a new land, many left, including Fred. Maria Seminovich left Moldovia, sailed to Halifax, and traveled by train to Strathcona (South Edmonton) before Alberta became a province. She was five and did not remember her birth place. IronicaJly, even though her father was a carpenter by trade, their first home in Canada was a mud hut. A few years after the family settled in Alberta, Maria’s mother died and because her father often worked away from home, much of the caring for the family was left to the older children. The building of the High Level Bridge in bdmon&on around 1910-1912, was a godsend. As a laborer during the construction of the bridge I red earned enough money to apply for homestead . While striving to improve his land, he worked in the coal mines in the Blairmore area and also on the railway west of Banff. Sometimes he worked as a farm laborer in exchange for a meal. His preferred location for the homestead was in the Boian area where many Romanians settled, but all land there had been claimed. An alternative picturesque quarter section of land that appealed to him, was northeast of Boian in the Ukrainian community of Ispas. Although it had lakes, trees and meadows, after settling on the land Fred discovered that it was sandy, rocky, and hilly. The homestead was difficult to cultivate and the yield was often poor. But Fred persisted. He began farming with a team of oxen. In time the oxen were traded for two horses. Second-hand farm equipment was acquired, repaired and used to make his work easier. He was a happy man when he purchased a new tractor. Fred owned the first automobile and radio in the community Neighbors came to hear the world news, (especially during the Second World War), but insisted that Fred translate it into their own language. After automobiles became more prevalent, Fred was often asked to repair them. 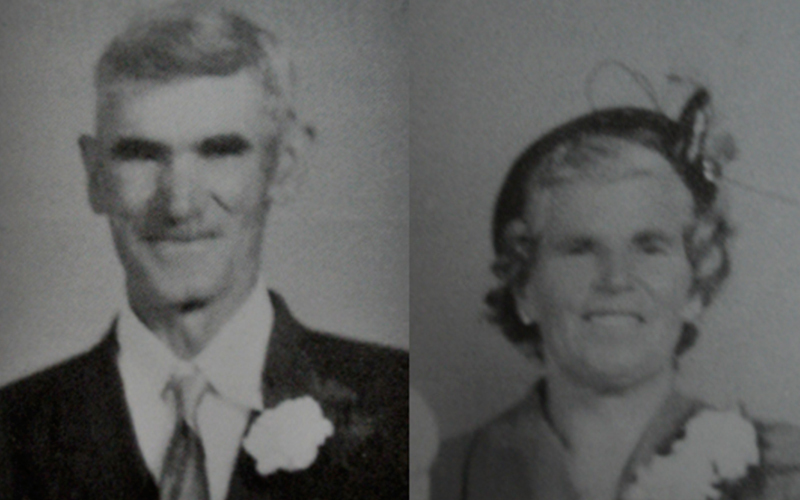 Fred and Maria married in 1913 and had thirteen children; all born at the homestead. While living in a log cabin, a house was built overlooking two small prairie lakes where the family observed the ducks, geese and the beauty of nature. A Swiss visitor to the farm stood on a small knoll in the farm yard, looked all around and exclaimed, “This is a children’s paradise!”. As the children grew, they helped with the mixed farming which provided most of the food for the family. For their education it was necessary to walk three miles each day to Deep Lake, a one-room country school which accommodated children to eighth grade. Although the parents wished that their children could continue their formal education, they did not have the finances to support them as students in Hairy Hill which was twelve miles away. This was difficult to accept because all their children did well at school. During the war, Fred bought a lot in Hairy Hill and built i small house in which some of the children were able to stay and further their education. John joined the Royal Canadian Air Force and served overseas for three years. He remembered flying over Romania and wishing that they would not have to drop bombs over his parents’ homeland. After the war he studied at the Canadian Union College near Lacombe where he was also instrumental in setting up a book bindery. But after his father’s death in 1970, he moved back to the farm to be with his mother. He took over the farming and taught cadets in Two Hills. John owned a small Cessna plane so he built a runway on the farm. This mini airport was registered with the DOT and appeared on the air transport maps. Gladys, the second oldest, helped her mother, did housework for richer folk, spent 3 years in the Calgary Sanitorium and on her return continued to help and encourage her husband Bill Andriatz on their farm north of Hairy Hill. Son Mike had a talent for mechanics. He enjoyed inventing but developed tuberculosis and died at the age of 19. Dan was his parents’ right hand man until he too volunteered for the RCAF, was promoted to Corporal, served in Canada, and was stationed in Vancouver when the war ended. There he married Margaret Garay and they made this city their home. Thereafter he worked for the Vancouver school system. Helen, although quiet and shy, worked diligently in the background at the farm. She married a successful farmer and rancher, Philip Semenuik, and lived most of her life in the Mannville area. She was followed by Nick who also helped at the farm, then married Nancy Kuzz, and got a farm of his own near Hairy Hill. He owned school buses and transported rural children to town schools. When Steve was completing his high school he became employed by the Imperial Lumber Company in Hairy Hill. Later he bought the firm and called it ‘Bid’s General Supplies’. He was also active in the community serving as mayor for the town and school trustee for the Two Hills county. After running his business for more than 40 years, his building was destroyed by arson. This was a major tragedy for both Steve and the village of Hairy Hill. Kathleen and Pearl were often regarded as twins. As children they were inseparable. Kathleen worked at the farm until she married Metro Lypka and eventually they made Two Hills their home. She was a Simpson Sears agent for many years and also owned and drove a school bus. Pearl completed her high school in Hairy Hill, then became the first of five siblings to receive degrees at the University of Alberta. She taught school for ten years, married David Murray, traveled extensively with her family, and in her later years took up painting and writing. George studied electrical engineering at U of A. He served in the RCAF, married Rosa Bruderer, and was employed by the Alberta Government Telephones until he approached his retirement, when he lost his life to cancer at the age of 54. He enjoyed the outdoors, watched birds, collected and polished rocks and collected stamps. Lucille attended U of A to study education and library science. She married Alvin Stenson and taught school in Halifax and Alberta until her retirement. As the children left home to establish their own careers, Fred and Maria remembered the difficult times and the good times. They were grateful for God’s help and guidance in raising their large family. They continued to farm and were encouraged whenever the children visited and assisted, but especially during harvest time. Although other farmers were investing in swathers, combines and balers, Fred continued to farm the old way using a mower and rakes to get his hay, and a binder and old time thresher to gather his crops. The Fred Bidulock Farm was where the family learned the importance of work to survive and improve their lot. But it was Fred and Maria who managed, guided, set good examples and refused to allow themselves to go into debt. Fred often advised, “If you can’t afford it, don’t buy it.” They taught their family well. In spite of the cold winters and the many hardships they endured on their homestead in Canada, they were grateful to have their own land, to become independent, and to strive for a better life. The success of their children was a source of great satisfaction to them. Fred continued farming until his death at age 79. Maria joined him seven years later at age 84. Both Fred and Maria would be happy to know that their farm remains in the family name and is listed as a wild life sanctuary. 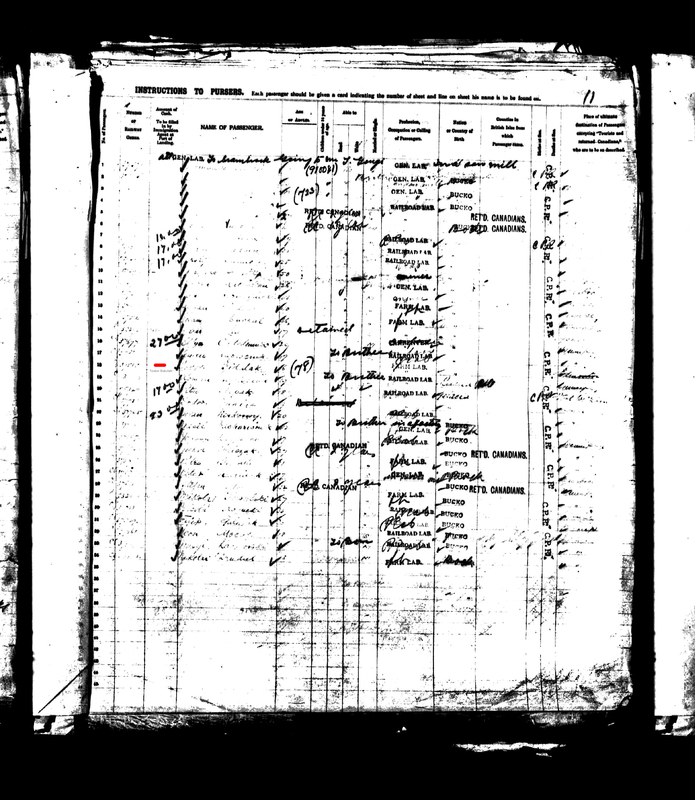 Teodor was born on Aug.9, 1893. Father – Pavel Biduleac. Mother – Eleana Hostiuc. Godmother – Axenia, wife of Georgi Chalus. 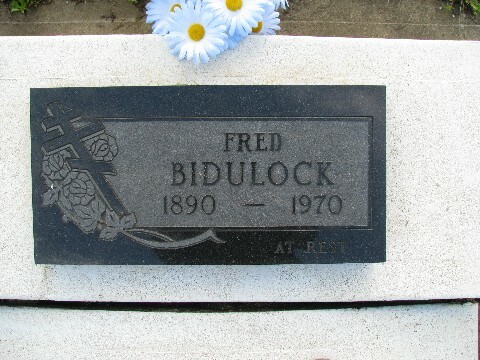 Fred Bidulock was my Great Uncle. His sister Pearl Bidulock married Sam Mihalcheon who are my Grandparents. I am so very proud to be a descendant of these brave, hardworking people who came to an unknown land to them at the time to settle, work their farms and raise their famiies. They worked so very hard and were able to build a new life here in Canada. Your father, Sam looks so much like Mike Mihalcheon….Fred’s cousin.